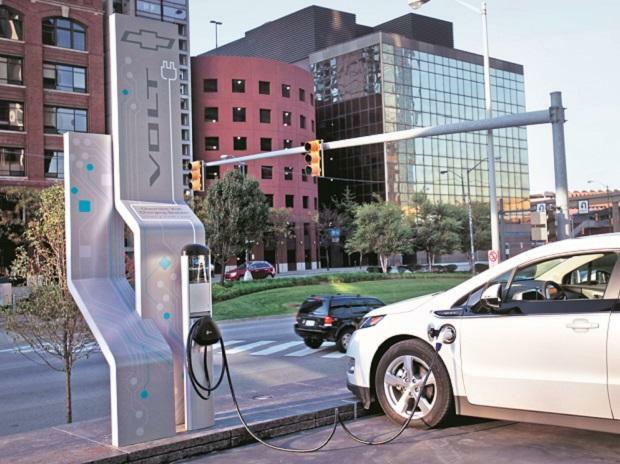 The government on Thursday announced a plan to set up a National Mission on Transformative Mobility and Battery Storage to "drive clean, connected and shared mobility" initiatives. The mission would draw up a five-year phased manufacturing programme (PMP) till 2024 for a few large-scale, export-competitive integrated batteries and cell-manufacturing Giga plants in India. According to a Niti Aayog report, India needs a minimum of 10 GWh of cells by 2022, which would need to be expanded to about 50 GWh by 2025. The programme would also work towards localisation of production across the entire electric vehicle value chain. A government statement said the decisions would help in better coordination among ministries, departments and governments "in ushering a transformative multi-modal mobility paradigm". The plan would signal to the industry to make the necessary investment in capacity to localize the value chain. "The mission aims to bring technology-driven sustainable and holistic mobility solutions within the reach of common man by scaling up the manufacture of these vehicles," it said. 'Giga-factory', first set up by Elon Musk, the maverick businessman behind Tesla, the biggest electric care manufacturer. Giga watt is equivalent to 1000 mega watt power. The government last week had also approved Rs 10,000 crore outlay for second phase of Faster Adoption and Manufacturing of Electric & Hybrid vehicles (FAME) scheme which sets aside subsidy for electric vehicles. The first phase of FAME offered incentives up to Rs 22,000 for two-wheelers, up to Rs 61,000 for three-wheelers and up to Rs 1,87,000 for four-wheelers. The government has so far not given details of the amount of incentive under the second phase. Lithium-ion battery manufacturing consists of cell to battery-pack manufacturing involving a value-add of 30 to 40%, cell manufacturing with a value add of 25 to 30% and battery-chemicals with a value of 35 to 40% of the total cost of battery pack. At the moment, cell to pack manufacturing plants have started functioning in India. According to the report, India would need a policy to secure materials used in Lithium-ion batteries, including lithium, cobalt, nickel, manganese, and graphite. “Our first task will be to scan for these resources within India and at the same time make or incentivize strategic investments in international mines for these materials,” said the report. The government is also looking to set up Lithium-ion battery recycling industry, what is referred to as urban mining.